I recently started a new job that doesn't care if my hair is dyed (score)! I've had the itch to re-dye my hair for a couple of weeks now, so yesterday I just went for it. My boyfriend and I went to Sally Beauty Supply to pick up my standard set of supplies and decide on a color. Normally, I buy Ion Color Brilliance Ammonia Free Powder Lightener and mix it with 20 Volume Sensitive Scalp developer of the same brand, as I've always had good results with that combination. But when I went to grab the Powder Lightener I noticed Ion had a new product, creme lightener, that I hadn't seen before. I called my sister, who is a hair-dye-at-home aficionado, to ask her if she'd ever used it or heard of it and she said no. 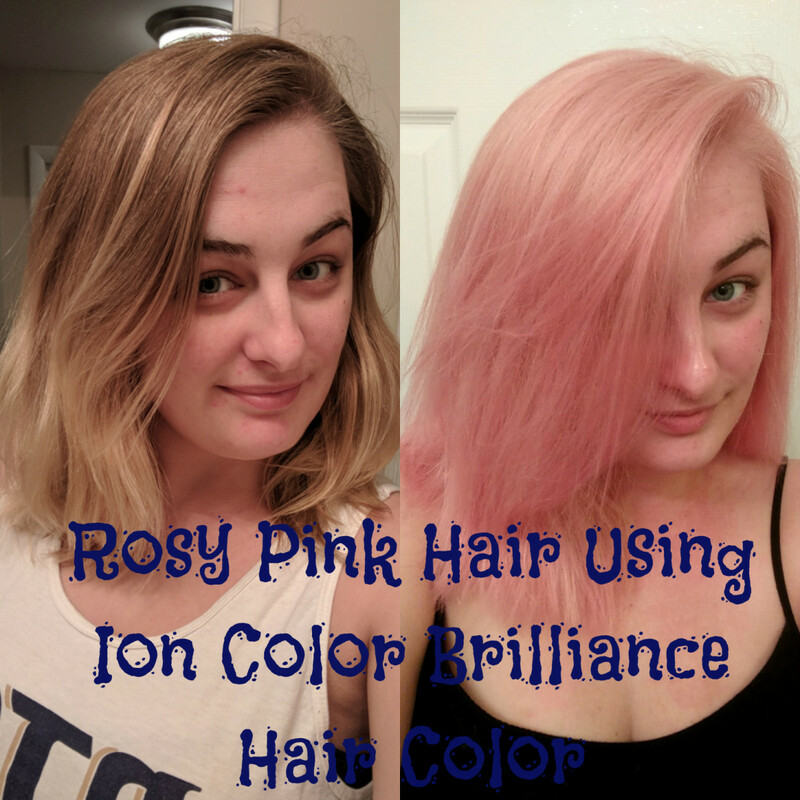 I'm a little adventurous and I've always had good experiences using Ion products, so I decided to try it out on a whim. I didn't read any reviews until after my hair was already finished. 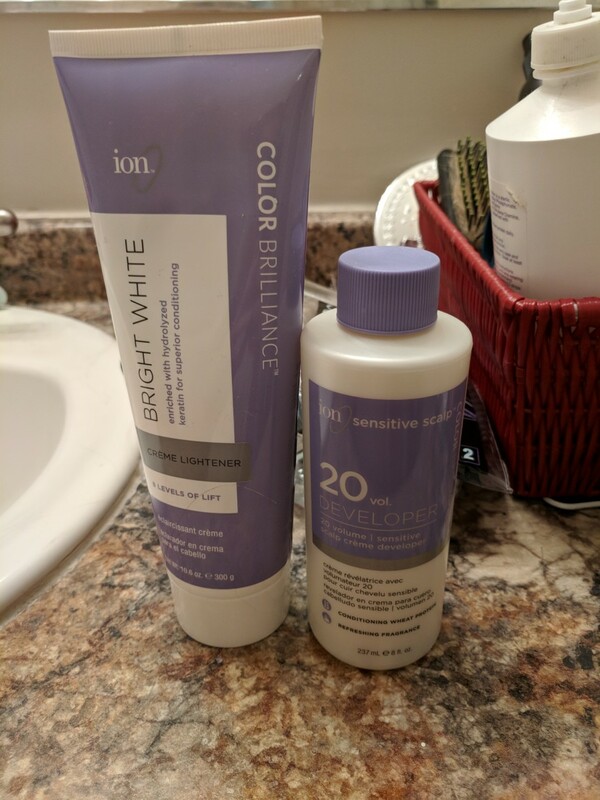 Ion Color Brilliance Bright White Creme Lightener comes in a 10.6 oz squeeze tube. which I think is a good amount for the price. Overall the packaging is user friendly. I used about 3/4 of the bottle during my first round of lightening, and the remaining 1/4 to touch up spots that I missed. My one complaint about the packaging is that I feel like I missed a small portion of product because you can only squeeze out so much before you reach the hard plastic opening and can't squeeze anymore. I even left the bottle standing up overnight to see if any of the remaining product would settle into the opening but unfortunately, it did not. I've listed all of the ingredients on the back of the bottle here for reference. Before using any kind of lightening product, I recommend checking the ingredients for any known allergens, so that you don't have any kind of allergic reaction to the product. For some of the lesser known ingredients, I've included links to information or short descriptions of the properties of the ingredient - that way you can learn a little bit more about ingredients that you may be unsure about. Overall, after researching each ingredient individually, there seems to be a low toxicity hazard and should not cause much, if any, irritation unless you are allergic to a specific ingredient. One thing about the ingredients that I appreciated was the inclusion of keratin, sunflower seed oil, and chamomile extract, as all of these ingredients are needed to ensure that your hair is not overly damaged, is receiving proper nutrients, and that your scalp is not irriated while you are using the product. All of these products can be found at Sally Beauty Supply with the exception of the It's a 10 which can be found at Wal-Mart or Ulta Beauty. First, I took a shower the night before to ensure that any hair styling product were out of my hair. If you have residual products such as gel, hairspray, mousse, etc in your hair, it will mess with the lightening or coloring that you are doing and it may not take evenly. The next day, I mixed a 1:1 ratio of 20 volume developer with the creme lightener in the bowl. I used the tint brush to mix it together. The texture of the mixture looked like a chalky paste. The more you mix it the smoother it gets. From here there are a couple of ways to apply the product. Lightening products work quickly already, so you have to work fast or be prepared to apply and rinse out sections of your hair at a time instead of your whole head. I think the best way to apply the mixture while keeping your hair neat and not missing any pieces is to use the tint brush. Do your roots first: Start where your natural part is and paint the mixture on. Once you finish that layer, lift it up and put it to the other side, so that you can do the section underneath. You may need a friend to help you with the back of your head, but with this product you need to work very, very quickly. Let it sit for 10-15 minutes, then rinse it out. 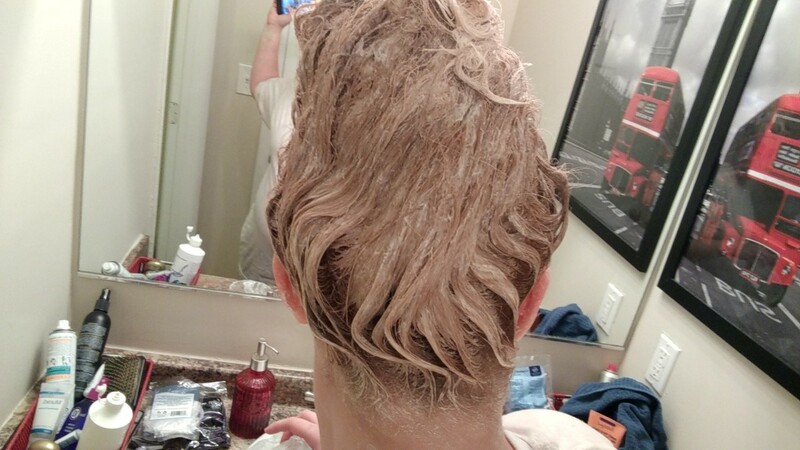 After your roots are done, section your hair out in 1-2 inch sections using clips and apply the bleach mixture using your gloved fingers to rub it in. Let it sit for another 10-15 minutes and then rinse it out. Alternatively, you could do what I did, which is not the best way but it is a way. 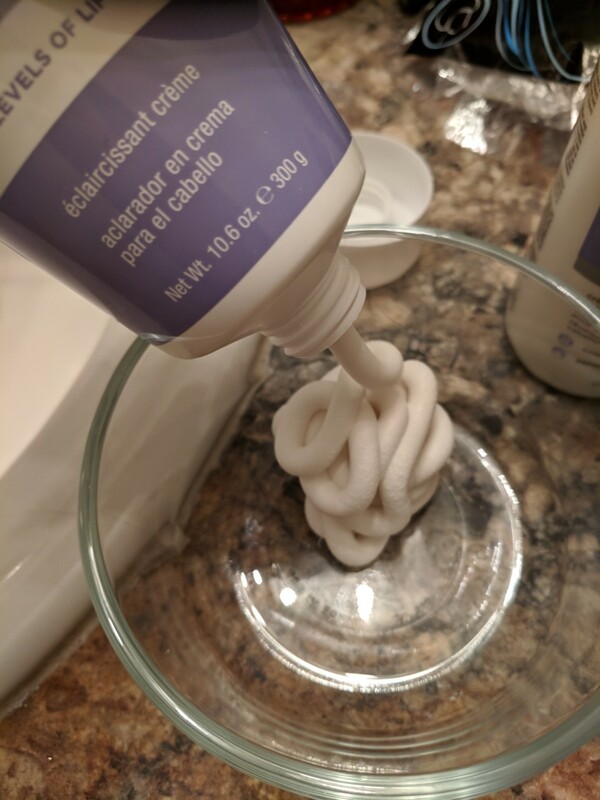 I applied the lightening mixture with my hands, as if I was shampooing my hair, making sure to rub product into my roots and scalp to ensure full coverage of my roots. Then I went back over with the tint brush to apply product to any areas of my hair that looked like they weren't fully covered. If you do it this way, you have to be prepared to do a touch-up round, because no matter how much you think you've coated, you will most likely miss a spot. I was lucky and only missed some small spots on the back of my head so I just did a quick touchup round and was ready to go. After getting out of the shower, I used It's a 10 Miracle Leave-In to help rehydrate my hair after lightening. I waited 2 hours in between my first round and my touch up round, so that my hair could mostly air dry and rest a little bit. When I went back for my touchup round, I used my hair dryer on the warm setting (not hot) and the diffuser attachment to finish drying it before applying my touchup round using the tint brush and only covering areas that needed extra attention. 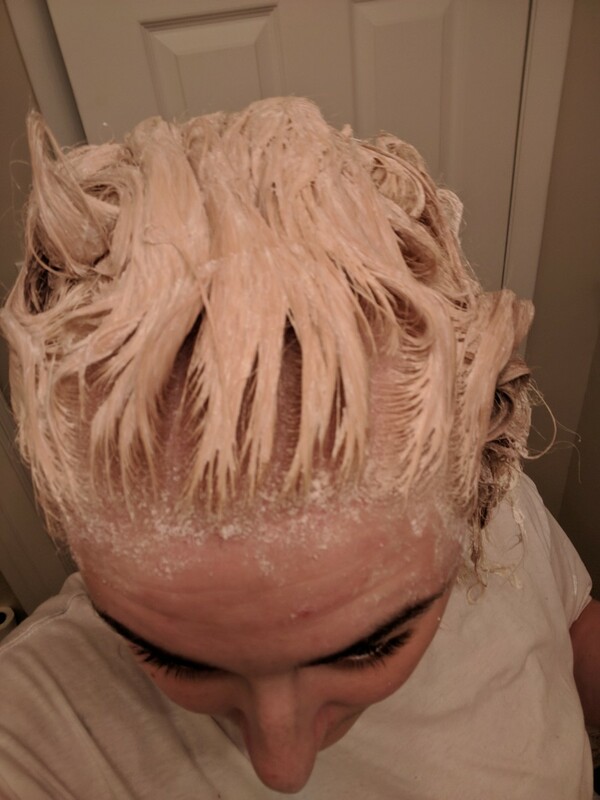 After rinsing the touch up lightener out, I did two rounds of purple shampoo - the first to remove as much of the lightening mixture as I could, and the second round I let it sit for about 7 minutes before rinsing to remove as much brassiness as possible. I followed up again with conditioner and then the leave in product after I got out of the shower. 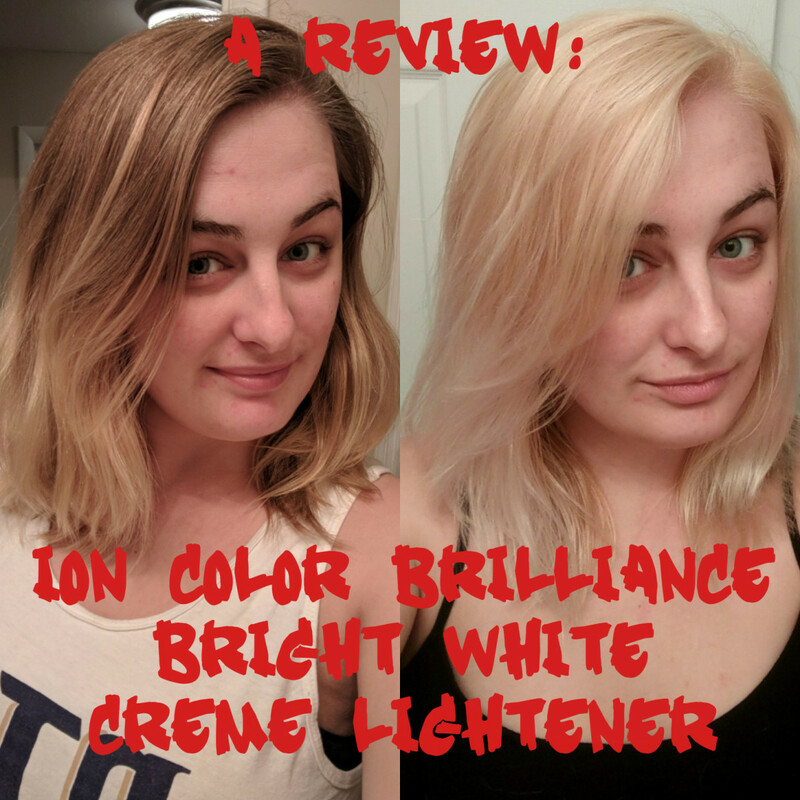 Overall, I was very impressed with this creme lightener and would recommend it if you're looking to lighten your hair and dye it a bright color! 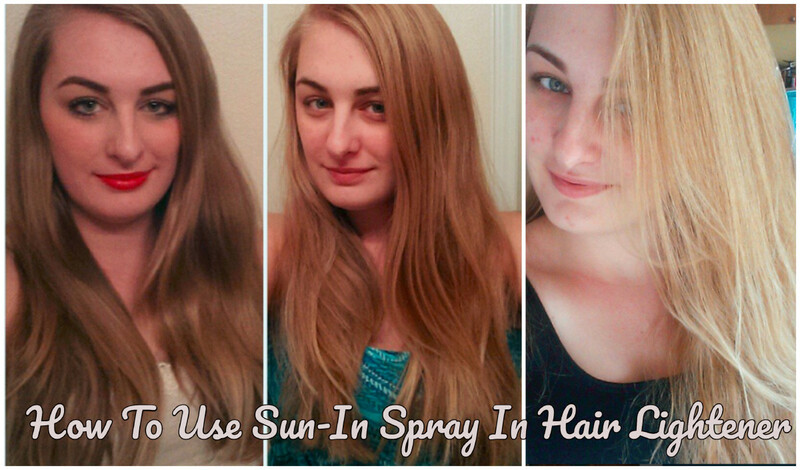 I had no issues with using powder lightener, but I appreciated how fast this product worked once applied to my hair. My hair was originally a dark blonde with some residual yellow-blonde highlights at the bottom. This product lifted my hair so quickly that I only left it on for about 10 minutes before rinsing each time. The only thing I felt was a slight warming feeling on my scalp as the lightener reacted with the developer - no burning or stinging. My hair felt soft and shiny, and split/fried ends were minimal. For my just-above-shoulder-length hair, I only needed to use one bottle to achieve the desired color, but if your hair is longer than mine you may have to use two. I bought two 8 oz bottles of 20 volume developer to use with this lightener and it ended up being the right amount, as I only needed about 10.5 oz of developer for a 1:1 mixing ratio. You will definitely need purple shampoo, because as with any hair lightening product it will typically lift to a yellow-blonde. If you have any other dyed colors in your hair at the time of using this product, you may have different results. If you have used this product, would you recommend it? Yes, I would recommend it! No, I would not recommend it! 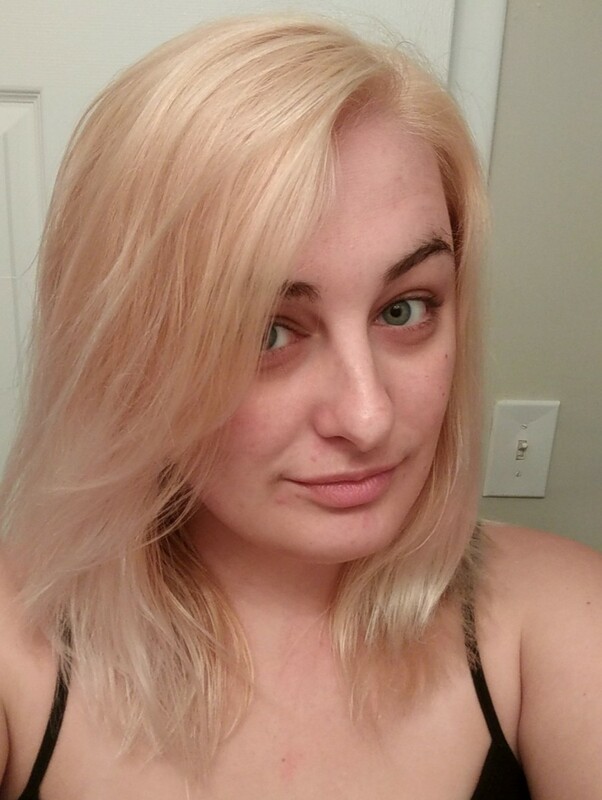 My hair is blond already but I want it lighter, can I use a 30 developer instead of 20? I would not. 30 volume is very damaging. If your hair is a lighter blonde than mine already, I would even recommend going lower than volume 20 - you should use volume 10. That way you don't fry your hair before you even get to wash out the lightener. Can I use 30 Vol lightener on hair roots? 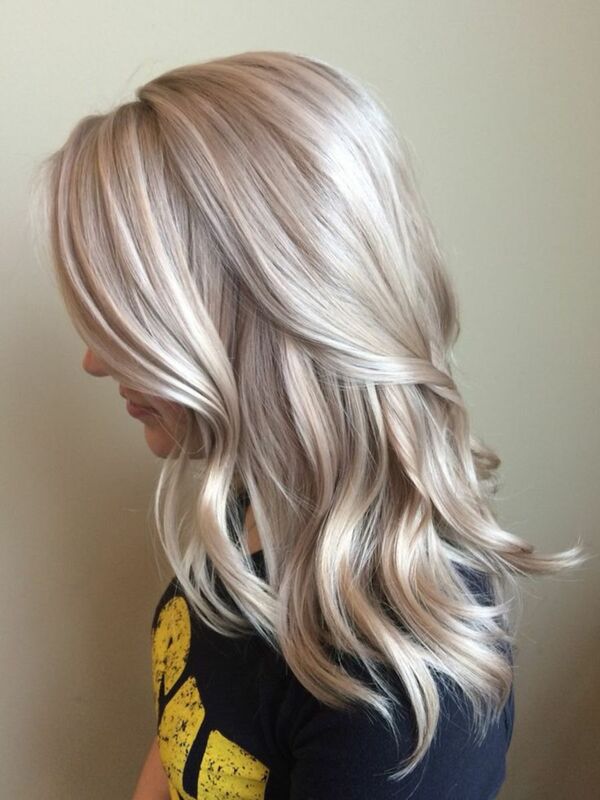 I want to achieve white, while I have dark brown roots. What is developer used for when dyeing hair? Developer is what is used to lift your hair color level. It often has peroxide in it. The higher the number on the developer the quicker it works and the more damaging it can be if used incorrectly. I typically use volume 10 if I am removing color from already lightened hair, and volume 20 if I am lightening virgin hair. However, if your hair is naturally medium blonde or lighter, you shouldn't ever need to go higher than volume 10 to lighten. Did you tone your hair? Should I tone mine if it's orange? No, I did not have to tone my hair after because my hair doesn't have red tones because it is naturally dark blonde. Orange can happen after any lightening process if you're lifting from a darker or more red-toned color, in which case you will need to tone once you're done. I recommend Wella T-18. I want to dye my tips emerald green. I have black hair and have never dyed my hair. Should I only lighten the tips of my hair with the lvl 20 developer? Hi Anon, yes - if you want only the tips of your hair you will only need to lighten the tips. Since you have dark hair though, I just want to caution you not to try to lighten too quickly so that you don't damage your hair. A lot of times on darker hair, any kind of lightener will most times come out orange on the first round. Don't be frightened if it does- let your hair rest a few days (using a conditioning treatment of some kind also), and then apply the lightener again. For a color as dark as emerald green you won't need white hair - just a couple shades above will work fine. 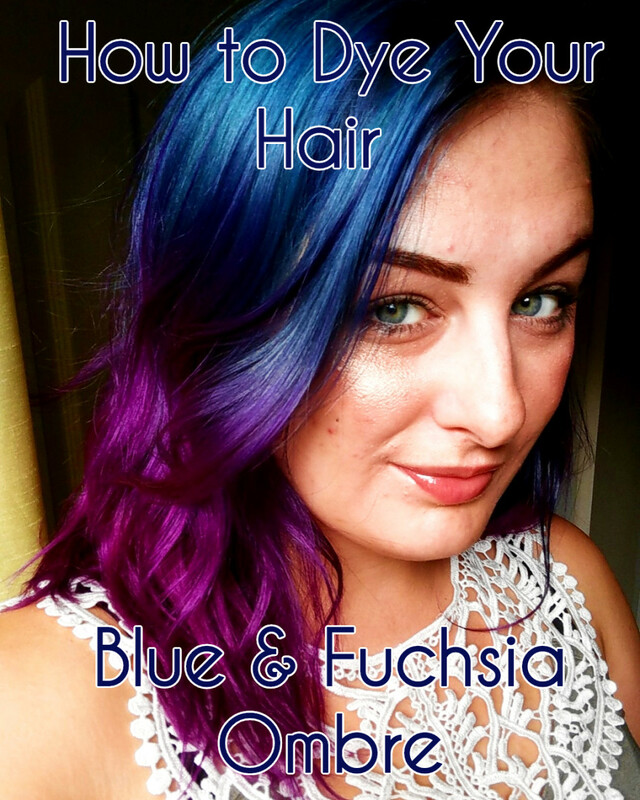 if you are using a chemical-free semipermanent or temporary dye such as manic panic, arctic fox, or wella color charm, then you can dye it as soon as your hair dries from the shower after lightening. 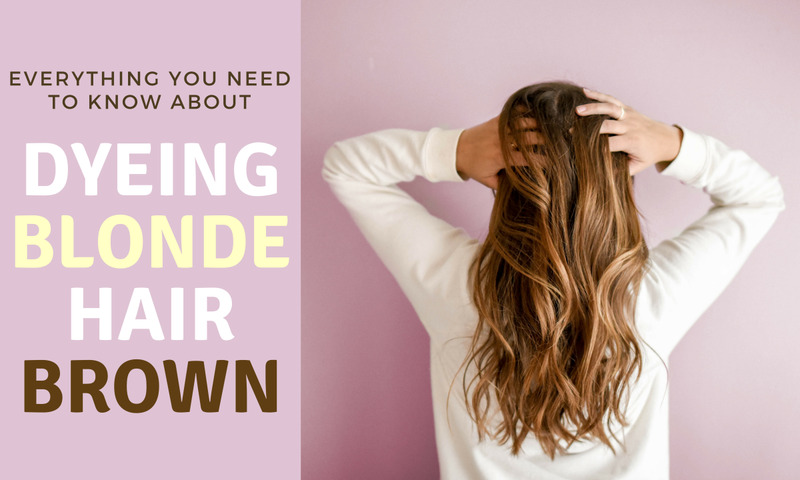 If you are using a permanent dye or one that requires chemicals such as peroxide or developer, it's best to wait a few days to let your hair rest. I just want to add you should bleach your roots last since your roots will process quicker than the rest. 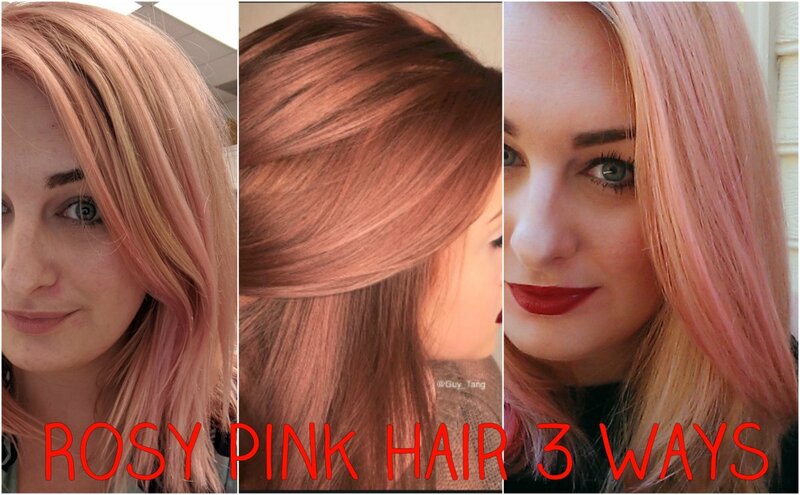 When this happens the roots will be significantly lighter than the rest of your hair. There is even a name for it hot roots . the only time you would bleach roots first is when your touching up new growth. Toning will take your amature at home bleach job to salon status . Everone will ask you where you got your hair done. Everyone should tone after bleaching unless your going for that yellow or orangeish look. Even natural blondes benifit from toning. @milly, you can for permanent or Demi permanent dye - I've never mixed developer with semi permanent though - never needed to!